I have been using this app for months with no issues. It is great in finding gluten free places in the city or suburbs and is very helpful for planning where to go. Thanks- keep up the great work! 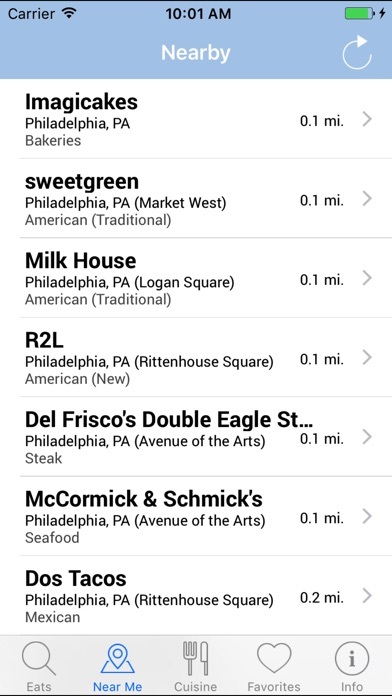 My husband has celiacs and this app makes it easy for me to find places that we both will enjoy. 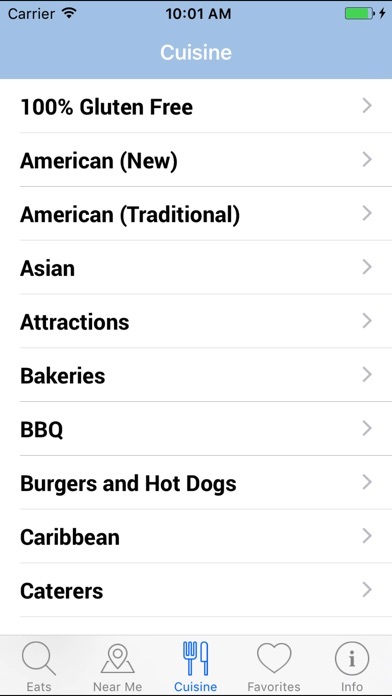 I like how you can keep a list of places that you like using the Favorites feature. I also like that there's a link straight to the menu for most restaurants--very convenient! Great app! 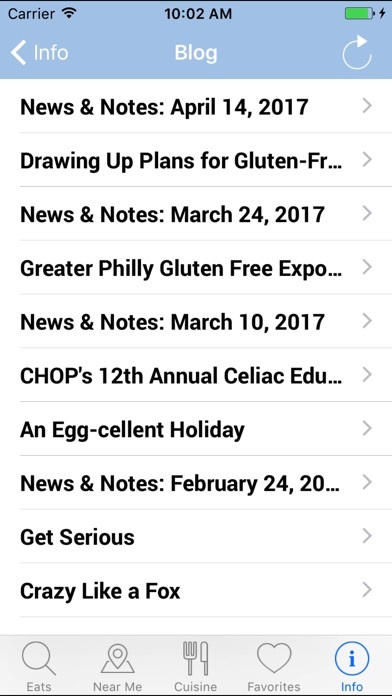 My go to app for all things gluten free. When I'm exploring a new neighborhood I use the Near Me option. 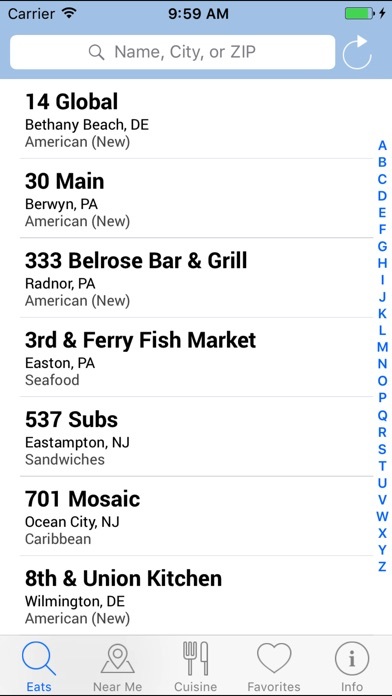 From there I'm able to call and get directions from the app. Even check out the menu and make a reservation! Makes living gluten free so much easier and fun! horrible. doesn't get past the "loading" screen. tried reinstalling it. did not help. 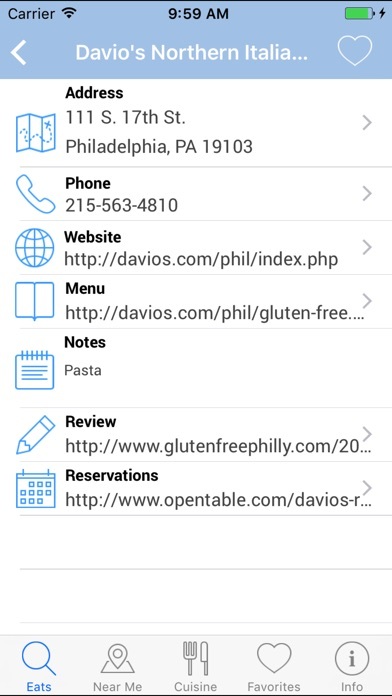 tried contacting the people at gluten free philly and they did not respond. paid for an app that is utterly useless. I'm a long time follower of this blog, and I've been waiting for something like this to come out. So convenient and easy to use. I've used this so many times already---well worth the money. I'm just hoping the developers will expand this to make it national! A must have for those in the area...awesome updates and by for the most relevant source of restaurants. Well done!